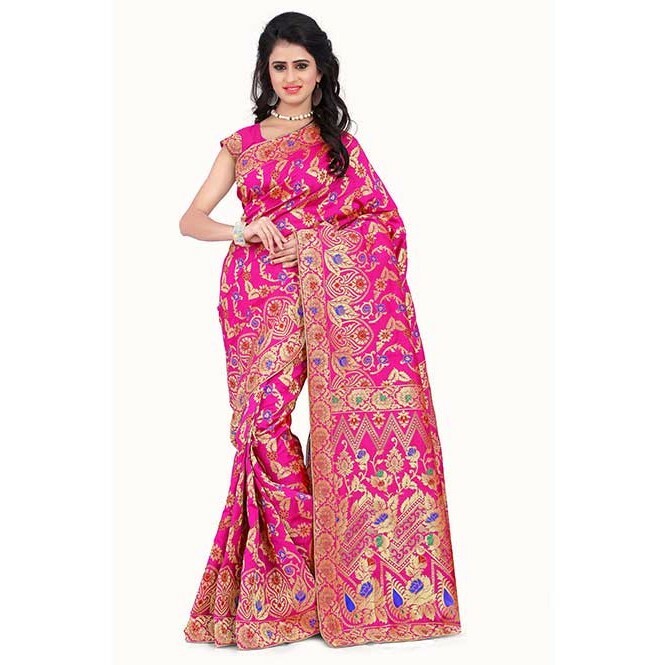 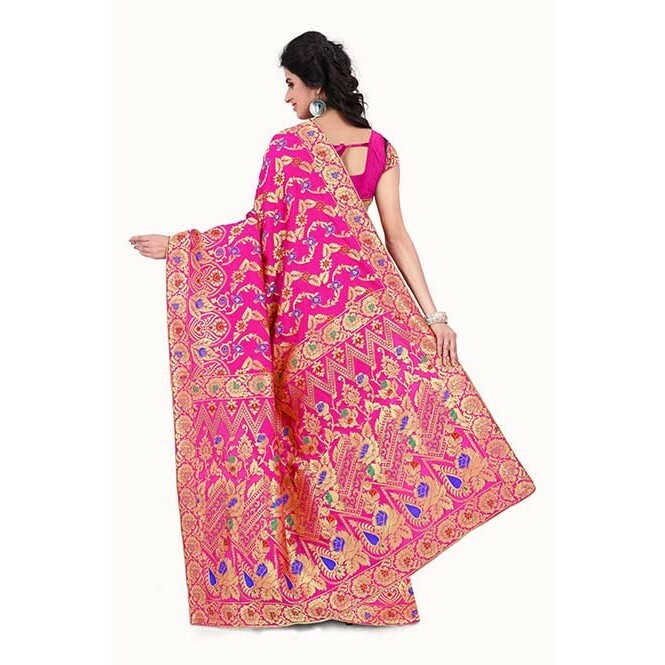 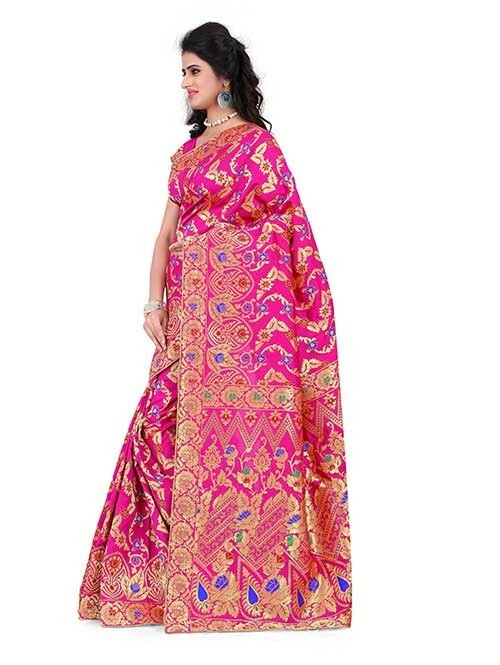 Look Trendy by wearing this Amazing Fancy Pink Colored Beautiful Banarasi Silk Saree From House of "Grab and Pack". 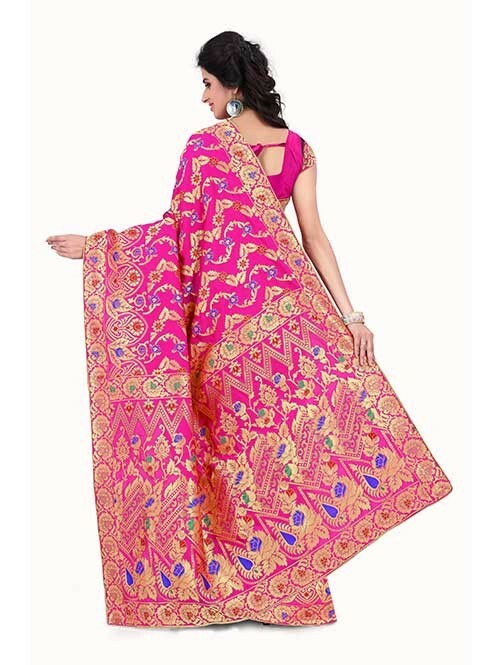 It comes with a unstitched blouse Piece. 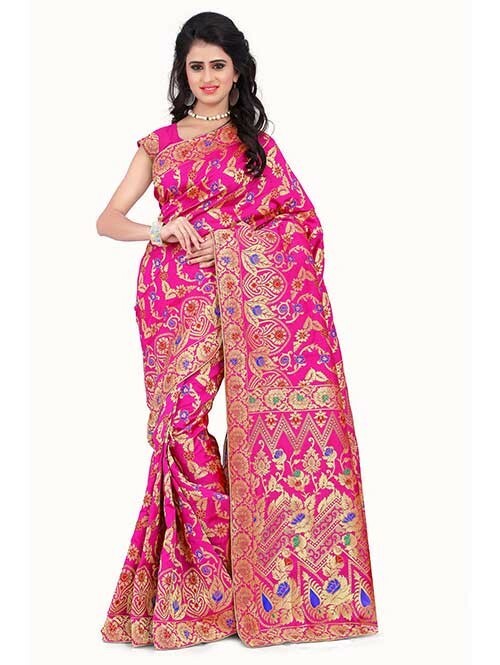 Designed using the best quality fabric, along with best combination of colours, ensures that it should never fail to be the perfect eye magnet. 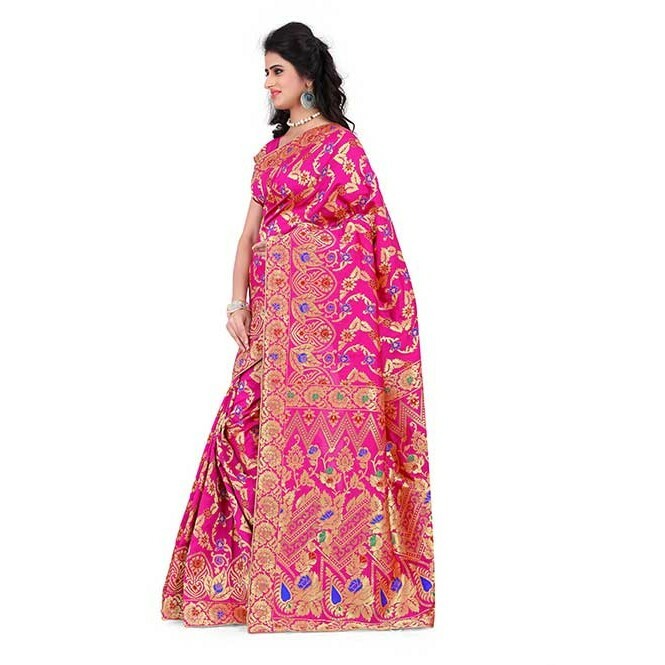 An awesome combination of vibrant colours of this saree will add a level up to your graceful attitude.